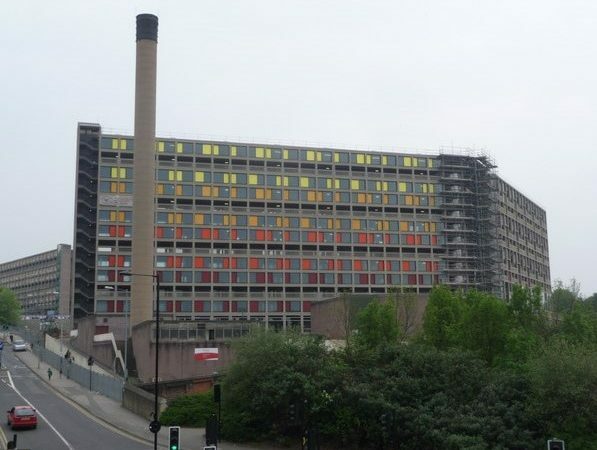 Pic: The Park Hill flats in Sheffield. The We Own It anti-privatisation conference in London last weekend was focused on four great areas where public services have been damaged by being run for private profit rather than the common good: railways, utilities, water and our NHS. But my journey to it, from Sheffield, was packed with reminders of how much broader the damage has been. I walked to the station past the Park Hill flats, hundreds of what could be brilliant public housing, located right in the centre of the city, empty and derelict for many years after the Blair privatisation handed it over to a private developer, who’s made scant progress in the much-heralded refurbishment since. That was on the streets of Sheffield, denuded now by the disastrous PFI (Private Finance Initiative) that has seen thousands of healthy trees felled – their many health-boosting and nature-supporting benefits lost – in the interests of maximising private profits. On the journey, I was reading about the state of our poor, desperately overstretched and chaotic, probation service, reflecting that of all of the privatisations, those in our criminal justice system, the deliver of the coercive power of the state to the untender mercies of the profit motive, has been probably the worst. Then I arrived at the venue for the event, at an academy school, a reminder of the disastrous policy of privatisation in our education system that has seen for-profit companies drawing massive profits from contracts to supply schools cut adrift from local authority systems, and run by massively overpaid administrators on private-sector style “star” contracts who cannot be held to account for their actions. That was the bad news. But there was also good news along the way. I travelled on a LNER train on the East Coast mainline – now in public hands for the second time after the private sector again failed to deliver this crucial service. I’d left a Sheffield where the council, after years of standing four-square with the private, multinational-owned contractor Amey, has finally been forced to listen to the view of residents, and has announced that much-loved war memorial trees will be saved, with a hint that a similar approach will be taken with others. I suggested to the conference that there’s plentiful signs that we are at, or past, “peak privatisation”, just as we’re already at or past “peak car”. In fact the public has been past it for some time. Back in my early years as Green Party leader, back in around 2013 and 2014, when I talked to journalists, as I often did, about bringing the railways back into public hands and running them for passengers not shareholders, they reacted with near-shock. “Isn’t that too radical for the British public to vote for?” was the typical response. My answer became very well rehearsed, as I pointed out, again and again, that even then, the majority of even Tory voters were in favour of renationalising the railways. And by definition any policy backed by a majority of Tory voters isn’t radical. As on plastics, as on gay marriage and abortion in Ireland, the public has led the way, with much of the political class trailing far behind. When G4S made a major hash of providing security for the Olympics, and the military had to step in, the state being the final backstop as it always has to be, there was little surprise. But even the government now has, finally, begun to catch up. As Shadow Chancellor John McDonnell noted at the conference, in his recent Budget speech Philip Hammond had been celebrating the government promise to end PFI deals. And Plaid Cymru MP Liz Saville-Roberts told us, that there very good prospects for the privatisation of the probation service in Wales to be reversed, and even England to follow. And there’s near-panic about another of the most grossly damaging areas of privatisation, and one of the earliest, of social care, including care homes. As the brilliant CRESC outlined, big chains, often based in tax havens and using complex financial engineering, are impoverishing the sector and loading it with unpayable debt. But it is clear that this is a pyramid scheme that must eventually collapse, and when it does – again – the government will have to pick up the piece, guaranteeing homes for some of our most vulnerable citizens. The future of our politics is far from clear, but the one certainty is change. And change against four decades of neoliberal politics. What the weekend conference was doing, and what’s absolutely crucial now, is to focus not just on criticising the disastrous failure, but setting out models, approaches, solutions, that can provide modern, new forms of public ownership, more decentralised and democratic than in the past, built also around the physical limits of this one fragile planet. That means that change in ownership isn’t enough. We need to change many other aspects of how our society works. As one contributor in an energy session noted, our public-owned energy suppliers will face much less pressure if we’re building and retrofitting homes to a decent efficiency standard, as we’re not now, except in very cases like Wilmcote House in Portsmouth, which demonstrate if can be done to almost any home in the country. And if we’re going to have democratic control over our publicly owned services, as speaker after speaker stressed we need, then we need to make Britain a democracy, as it isn’t now. Ending and reversing privatisation is a big part of moving the UK to a society that works for the common good within the physical limits of this one fragile planet. But it’s only part of the massive changes we need.